 At Foundation Chiropractic, our goal is to help families – as many as we can – live their best lives possible through a healthy and strong foundation. Our family chiropractic care removes interference and aligns your spine, giving your body a sturdy base for a healthy life. With a focus on your spinal health, we use pre- and post-objective measurements to follow the positive effects of your treatment. We want to do more than just make you feel better; we want to make sure that your body is functioning at its’ optimal level. We want you to be able to see the changes that we are making to ensure you are the strongest and healthiest you can possibly be. Our goal is to remove the true, underlying cause of your pain through structural corrections, allowing you to heal naturally. This advanced system uses video-fluoroscopy (motion X-ray), thermal imaging and drop table adjusting for a very safe, comfortable and effective adjustment. The Pierce Results System is utilized to evaluate your spine, determining how it moves through what should be normal ranges of motion. Spinal problems are revealed by having you turn and bend in specific ways. We use this thorough biomechanical analysis to make a specific and highly-effective adjustment. Think of our adjusting instrument as a high-tech reflex hammer that gently moves the bone back into position. Our computerized instrument applies a series of “taps” on suspected vertebrae. Using a high-tech “force transducer,” the computer analyzes how the vertebral segment is responding. Think of it as a small reflex hammer; you’ll hear the difference as each segment assumes a more competent position. The computer helps us identify not only where to adjust, but how your body is responding to your adjustment! It’s also common to use a specialized adjusting table with cushions that “drop” away. This reduces the energy needed to make changes in your neck and pelvis. Drop tables are famous for increasing patient comfort and results, all while allowing us to give an adjustment without any twisting or cracking of the spine. Subluxation creates an inflammatory response that can be measured by changes in temperature. We’ll monitor your progress and watch for pattern changes along your spine through use of highly-sensitive temperature measuring equipment. As better spinal function returns and nerve interference is reduced, your body’s inborn healing ability will be enhanced, making way for another chiropractic success story! The Webster Technique is used to help align the pelvis for expecting mothers. As the due date draws near, most babies assume a head-down position in the mother’s uterus. If the baby hasn’t turned, there is a greater chance of a more difficult breech birth or risky Caesarean intervention. Developed by the late Larry Webster, D.C., this chiropractic technique releases stress on the pelvis, relaxing surrounding ligaments and reducing the sacral subluxation to restore more normal function. Sacral subluxation may cause the tightening and twisting of pelvic muscles and ligaments, constraining the uterus, so the adjustment is intended to reduce the effects of subluxation and the associated dysfunction of the sacroiliac (SI) joint. The result: Neurobiomechanical function in the sacral/pelvic region is improved, benefiting pregnant mothers or others with sacral subluxations. The July/August 2002 issue of the Journal of Manipulative and Physiological Therapeutics reports that 82% of chiropractors using the Webster Technique reported success. Sometimes, the associated dysfunction of the SI joint can be reduced with just one adjustment using the technique, though it usually takes 3-10 visits over a period of several weeks. 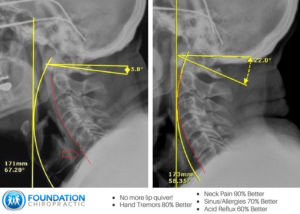 We use a variety of X-ray and other scanning technologies at Foundation Chiropractic to ensure we take the best possible care of our patients. Some chiropractors will perform no or limited X-rays, but we have the technology to perform multiple types with as much frequency as is necessary. 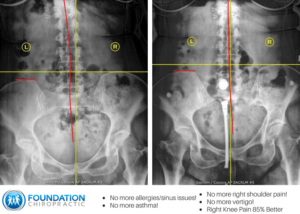 We’ll use structural X-rays to better track your progress over time, using whichever type we think will be most beneficial. Low radiation X-rays reduce radiation by 80-90%. They are safer and more effective in diagnosing and caring for your health concerns. X-rays help us more precisely determine your problem areas, and the X-ray technology we use keeps radiation exposure very low. Thermal imaging has been growing in popularity in a number of wellness-related fields, from acupuncture to breast cancer screenings, and it’s a valuable tool for us at Foundation Chiropractic, too. Temperature variants may be signs of subluxations or other problems that can be reduced with chiropractic care, and we can detect these variants with thermal imaging scans, which have the added benefit of being very non-invasive. This variant on X-rays uses digital X-ray sensors rather than the photographic film you’re used to seeing X-rays on. A digital radiograph has all the detail of a traditional X-ray, but it requires less radiation and is much quicker — no need to go through chemical processing. On top of that, it’s much easier to send radiographs from one place to another, as well as to enhance parts of the image. Otherwise known as a motion X-ray, video fluoroscopy is a continuous X-ray seen on a monitor. This technology allows us to see inside a body part as it’s in motion — a major advantage over static X-rays, as it may sometimes be difficult to ascertain the problem with a body part without seeing in-depth how it moves. We focus on structural correction in our office using advanced, gentle technology. Prior to an adjustment, we demonstrate to our patients what the experience will be like. There is no twisting or cracking of the spine. Straight or reverse curve necks? Pelvis misaligned? Whatever it is, we’ll help you correct it so you can get back to normal. We’ll show you ‘before’ and ‘after’ X-rays to show you how your body should be and what kind of difference we can make. At Foundation Chiropractic, our advanced technologies help you regain a healthy, strong foundation to health. To learn more about our chiropractic techniques, or to schedule an appointment, contact us today!